Residents from Teddington and neighbouring towns packed the beautiful Christ Church in Teddington to get the latest update on progress Teddington Action Group (TAG) is making to stop expansion of Heathrow airport and stop government approval for the third runway. Stephen Clark reported on testifying before Parliament’s Transport Select Committee (TSC), which is a committee established to scrutinize evidence related to building the third runway. On 23rd March the TSC committee delivered its report supporting expansion at Heathrow but with much tougher measures to protect local communities. Sections of the Airports National Policy Statement will need to be revised before Parliament will review this report prior to voting on the runway before the summer recess. the poor economic case whereby Heathrow’s foreign owners have been accelerating the distribution of dividends such that their debt has wiped out the equity value. As a result, Heathrow only offers to contribute £1 billion to the cost of infrastructure modification to M25, M4, A316, etc. and public transport that Transport for London (TfL) estimates will cost £20 billion (which means the taxpayer would be forced to pick up the £19 billion difference even though Heathrow ownership and profit is in private hands). pollution and air quality already break legal limits three times over and are so high that if Heathrow expands and adds the projected 270,000 more flights per year, all other regional airports will be forced to reduce their flight numbers significantly. 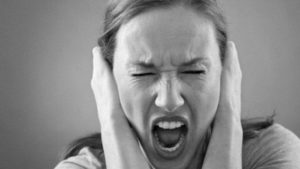 Noise not being properly assessed to the extent that the CAA has been forced to admit their methods are inaccurate and significantly more people are currently impacted and to a greater degree than originally reported. Additionally, Heathrow wants to reduce any respite from 8 to 4 hours, continue to fly some planes at night and start full scale airport operations at 5.30am. Potential new flight paths will be more concentrated to accommodate the 270,000 additional flights per year that would add 2.5 million more people under the “noise sewers”, as the CAA has described the flight paths. Neil Spurrier summarized the two Heathrow consultations currently being conducted on flight paths and a third runway. He pointed out that TAG offered suggested replies to the lengthy consultations (which closes on 28th March) but that the consultations were really just a media ploy because no expansion has yet been approved nor flight paths defined, so how could people make intelligent choices when they didn’t know the options? Sir Vince Cable summarized some of his discussions with the cross-party MPs who now question the benefit of Heathrow’s expansion. They also question who will pay for the expansion given Heathrow’s huge debt and the fact that it is now acknowledged that expansion at Gatwick and regional airports would deliver more economic benefit than Heathrow and enable the politicians to say that ALL of Britain is open for business. Paul McGuinness, chairman of the No 3rd Runway Coalition, revealed some of Heathrow’s deceptive PR. One instance was John Holland-Kaye, Heathrow CEO, telling MPs that expansion was essential because Heathrow only had 80 long distance destinations compared to Paris’s 86. What he failed to point out was that Heathrow was only one of London’s airports and that the total long distance destinations from London (not just Heathrow) was 136. 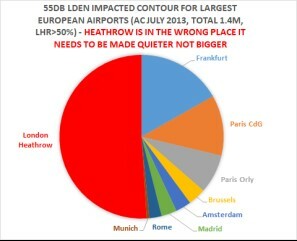 Additionally, Heathrow is the most disruptive airport in the world and any suggestion that expansion could be done without serious negative impact “is pants”. There were many good points made by attendees ranging from Heathrow’s inability to fund this expansion, as well as the effect on house prices and the fact that there should be no further expansion because of climate change. 1a. Please tell us what you think about Heathrow’s plans to expand the airport. The new runway will be located to the north west of our two existing runways. Runway options in this area have been identified that vary in length from 3,200m to 3,500m and their east-west position. Before answering this question please read Section 2.1 of the Airport Expansion Consultation Document. 2a. Please tell us what you think about the options for the new runway. RESPONSE: None of the options can possibly work because of the reasons above. Furthermore, the position and type of runway was as set out in the Airports Commission recommendation now endorsed by the Government in the draft National Policy Statement. It is hardly appropriate for Heathrow to suggest something else at this stage, when the Airports Commission may not have given the amended scheme its endorsement. 2b. What factors do you think should be important in fixing the precise location and length of the runway? To serve the increased number of passengers and aircraft that will use the expanded airport, new terminal and apron infrastructure will be required. Before answering this question please read Section 2.2 of the Airport Expansion Consultation Document. 2c. What factors do you think should be important in locating new terminal and apron space? A well-designed taxiway system must provide efficient and safe links that deliver predictable journey times for passengers, lower operating costs for airlines, and greater efficiencies which will help us deliver on our commitments around noise and air quality. Before answering this question please read Section 2.3 of the Airport Expansion Consultation Document. 2d. What factors do you think should be important in deciding the location of new taxiways? The construction of a new north west runway will extend the airport to the west. This will affect the route of the M25 between Junctions 14 and 15 and the operation of Junctions 14 and 14a. Before answering this question please read Sections 2.4 and 2.5 of the Airport Expansion Consultation Document. 3a. Please tell us what you think about the re-positioning of the M25. 3b. Please tell us which family of options you prefer for the alterations to Junctions 14 and 14a and the reasons why. The expansion of Heathrow will affect local roads. There are a number of options for replacing these roads, transferring traffic on to other routes and re-establishing local connections. Before answering these questions please read Section 2.6 of the Airport Expansion Consultation Document. 3c. Please tell us which option you prefer for the diversion of the A4 and the reasons why. 3d. Please tell us which option you prefer for the diversion of the A3044 and the reasons why. 3e. Please tell us which option you prefer for the Stanwell Moor junction and the reasons why. 3f. Please tell us what you think about the options to improve access to the Central Terminal Area. The expansion of Heathrow will affect local rivers and areas of flood plain. There are a number of options for the diversion of these rivers and the replacement of flood storage. Before answering these questions please read Section 2.7 of the Airport Expansion Consultation Document. 3g. Please tell us what you think about the options for the diversion of rivers and the approaches to replacement flood storage. To support the operation of an expanded airport we will need additional land outside the airport boundary. This will include land for construction sites, car parking and commercial facilities, as well as new landscaping. We will also need land to accommodate businesses that need to be relocated. Before answering these questions please read Sections 2.8 to 2.11 of the Airport Expansion Consultation Document. 4a. Please tell us what you think about the locations and sites that we have identified as being potentially suitable for airport supporting facilities. 4b. Please tell us what you think about our approach to providing car parking and the potential site options we have identified. RESPONSE: We are opposed to taking up greenfield and brownfield land with new car parks. If Heathrow were not planning to increase the amount of car travel, and instead intended any growth to be taken up by public transport, extra parking would not be needed. 4c. Do you have any comments on the land uses that will be affected by Heathrow’s expansion? RESPONSE: Yes, the changes are overwhelmingly negative. 4d. Please tell us what you think about the sites identified for the relocation of the Immigration Removal Centres? If you have a preference, please tell us why. 4e. Please tell us what you think about the locations and sites that we have identified as being potentially suitable for airport related development. RESPONSE: The impacts on these locations and sites are overwhelmingly negative and would not be needed without a third runway. 4f. Do you have any views on how the demand for additional airport related development such as hotels and offices might best be delivered? 4g. Please tell us how you think we should best bring the various components together to build our masterplan for the expansion of the airport and what factors you think should be most important in our decision-making. RESPONSE: We do not consider any masterplan should be developed until if and when the principle of a third runway is approved by Parliament and until any conditions, in particular environmental conditions including restriction of air pollution and noise as well as flight paths, are finalised. 4h. Please tell us what you think about the sites we have identified as potential construction sites, and the approaches we are considering to manage the effects of construction. The expansion of Heathrow must happen in the right way. We have developed a number of approaches to ensure that the effects associated with the construction and operation of an expanded Heathrow are effectively managed. You can find relevant information on these approaches in Section 4 of the Airport Expansion Consultation Document. We recognise that people who live in or own property near Heathrow will be affected by its expansion. Section 4.1 of the Airport Expansion Consultation Document and our Property Policies Information Paper sets out our proposals to ensure that those affected are fairly compensated. 5a. Please tell us what you think about our Property Policies. Noise is one of the most significant concerns for communities living close to airports. Section 4.2 of the Airport Expansion Consultation Document and Our Approach to Noise set out options to reduce, minimise or mitigate the effects of noise arising from the expansion of Heathrow. 5b. A noise envelope is a package of measures that can be used to reduce noise. Please tell us your views on the objectives of the noise envelope and the timeline for its development. 5c. Is there anything further we should be considering to reduce noise? 5d. Please tell us what you think about our suggested approach to the provision of respite. RESPONSE: Heathrow have been completely disingenuous with this. It is not clear even if respite is possible with PBN – there is a thought that present technology of aircraft electronics will not have sufficient capacity to store the data of the multiple routes that will be needed for dispersal using PBN. With a third runway the ability to grant respite will reduce from 50% of operating time maximum to 33%. The whole concept of concentration, particularly without proper research, is grossly unfair, pitching one community against another. 5e. Please tell us what you think of our proposals for noise insulation and phasing of delivery. 5f. A 6.5 hour night flight ban on scheduled flights is required sometime between 11pm and 7am. Our current preferred option for this is from 11pm to 5.30am. Please tell us when you think the night-flight ban should be scheduled and why. RESPONSE: The proposal is quite unacceptable. To start at 5.30am would give people under the departure routes 30 minutes per night LESS sleep than before. An 8 hour ban should be required from 10pm to 6am. People need at least 8 hours sleep and even this will not cater for people working odd hours. The ban should be an outright ban (not just a ban on scheduled flights). Section 4.3 of the Airport Expansion Consultation Document and Our Approach to the Development of a Surface Access Strategy set out our priorities and targets for the ways in which passengers, visitors, workers and commercial traffic will access the expanded airport. 5g. Please tell us what you think about our priorities and initiatives we propose to use to develop our surface access strategy. RESPONSE: Heathrow is not well served by road or rail. At present it is not on a main railway line and the M25 road access is liable to excessive traffic jams – notwithstanding that around Heathrow it is 6 lanes in each direction. The priority should be to ensure that there is no increase in road traffic. This would mean no need for destructive new car parks or more road capacity. 5h. Please tell us what you think about the options to use road-user charging to reduce emissions and to manage vehicular access to the airport. Section 4.4 of the Airport Expansion Consultation Document and Our Approach to Air Quality set out options and approaches to reduce or mitigate the potential local air quality effects that may arise due to the expansion of Heathrow. 5i. Please tell us what you think about the measures proposed to manage emissions. Are there any other measures that we should consider? RESPONSE: It is profoundly misleading to suggest that emissions from the increased use of roads and the airport can be contained to current levels and no evidence is given for the assertion. It has been determined by the courts that the government has no tenable plan to meet legal air pollution limits, even without a third runway. A third runway would make air pollution worse as compared to two runways. There are no proposals that would make a significant difference to air pollution levels. Section 4.4 of the consultation document is unspecific and qualitative. Airport ground-based sources contribute only a small proportion of the total emissions due to Heathrow. Aircraft have vastly higher emissions than suggested, while emissions from airport-related road traffic are also considerable. It is misleading to say that ground transport is the main cause of harmful emissions. Planes do emit a large amount of NOx and other gases. This was shown by the Kings College London research upon the grounding of all planes when the Icelandic volcano at Eyjafjallajökull erupted April 2010. Section 4.5 of the Airport Expansion Consultation Document and our Approach to Carbon and Climate Change set out potential options and approaches that could be used to reduce or mitigate the carbon and climate change effects anticipated to arise as a result of the expansion of Heathrow. 5j. Do you have any comments on our approach to limiting carbon emissions from the design, construction and operation of an expanded Heathrow? Section 4.6 of the Airport Expansion Consultation Document and Our Approach to the Natural Environment set out the key design considerations and provide our likely response to the natural environment as part of the expansion of Heathrow. 5k. Please tell us what you think about our approach to natural environment issues. RESPONSE: We do not support an approach which destroys natural habitats and wildlife, which this would. 5l. Are there any opportunities that the expansion of Heathrow could provide to enhance the natural environment? Section 4.7 of the Airport Expansion Consultation Document and Our Approach to Historic Environment set out the key considerations and provide our likely response to the historic environment as part of the expansion of Heathrow. 5m. Please tell us what you think about our approach to historic environment issues. Having considered everything you have read, do you have any further comments in relation to our proposals for the expansion of Heathrow? Please tell us your views on this consultation (for example, the information we have provided, any printed material you have received, any maps or plans, the website and feedback form etc.). The first is nothing more than a publicity stunt for an expansion which has not yet been approved. The second may be a statutory consultation which is misleading and deeply flawed. It is flawed as it is designed to put one community against another with insufficient information given for people to make rational decisions. RESPONSE: The proposed expansion of Heathrow is opposed absolutely. It cannot work for reasons of cost, damage to the environment, surface access, excessive and unbearable noise, excessive and illegal emissions, as well as climate change. Any expansion of Heathrow will impose unacceptable constraints on future development of regional airports. The imposition of concentrated flight paths blighting the lives of people is totally unfair. This particular Design Principle is connected with the introduction of Performance Based Navigation (“PBN”) and is a matter of national importance and should not be introduced through the back door by Heathrow in their expansion plans. The question is phrased in a way that is totally unfair and designed to pitch one community against another. The load should be shared fairly. Noise has not decreased as claimed. It has substantially increased over the past few years due to low flying, and the so called quieter planes not being quieter. The Consultation fails to comply with the CAA requirements. Nothing like enough information has been given for this to happen. It is as if communities are being asked whether they would like to turn left or turn right, but no information is given on the consequences of either. Please read page 14 of the Airspace Consultation Document before answering this question. Please select one of the options a-b and provide any comments in the box below. The “Design Principles” set out by Heathrow do not comply with the legal requirements set out in the Air Navigation Guidance 2017. There is a specific requirement to “reduce the total adverse effects upon people”. There is no evidence that this will happen. No details of the Pros and Cons of the different procedures have been given nor any studies on the level of noise or whether intensive use would or would not “reduce the adverse effects upon people”. Without this, people cannot possibly make an informed decision. All the current Consultation is doing is pitching one community against another. If you ask someone “Do you want to be directly overflown or not?”, it should be of no surprise if the answer is “No”. The current airspace change proposal is ill advised, lacking in the required detail and premature. In so far as there is to be an airspace upgrade with PBN, the consultation should be a national exercise sponsored by either the CAA or someone like NATS. If there were ever a situation of “the tail wagging the dog” this is it. Please read page 15 of the Airspace Consultation Document before answering this question. Please select one of the options a-b and provide any comments in the box below. RESPONSE: The Rules provide that National Parks should be avoided. In any case residential areas will have to be overflown to get to the park. Parks around Heathrow (e.g. Richmond Park, Bushy Park, Kew Gardens and Windsor Great Park) are of national and regional importance enjoyed by millions of people. They should not be used as a repository for excess noise. Please read page 16 of the Airspace Consultation Document before answering this question. Please select one of the options a-b and provide any comments in the box below. RESPONSE: Heathrow have not given enough information to answer this. There are clear rules. On emissions injurious to health, Heathrow already breaches the rules and any change worsening the situation would be unlawful. On greenhouse gases, the Committee on Climate Change has already given detailed information. Expansion of Heathrow is not possible without severe restriction of growth of regional Airports. As for noise the Government Guidance is equally clear. The Rules require the reduction of adverse effects upon people through the change. Please read page 17 of the Airspace Consultation Document before providing any comments on the statement below. In order to deliver any of these design principles, all aircraft will need to be equipped with the latest technology. We will not design flight paths to accommodate aircraft with older navigation technologies and there may be parts of the design where aircraft with the highest specification of navigation technology have an advantage. Please read page 18 of the Airspace Consultation Document before providing your response to the question below. Heathrow has made good progress over the last few years in reducing the number of late running flights that operate from the airport and, with expansion, we have committed to a six and a half hour ban on scheduled flights in the night period (sometime between 11pm and 7am). However, some aircraft will need to use Heathrow late at night or early in the morning: what key principles should we apply to the design of flight paths for arrivals and departures during these times? (You may like to consider the design principle options set out in Questions 1-5). Q7. Please provide any other comments you would like to make about our approach to airspace change, and let us know if there are any other design principles we should consider. 2 The second relates to potential principles Heathrow could apply when designing the new airspace required for an expanded airport. “At this early stage, we [Heathrow] are not consulting on future flight path options” state Heathrow. At the public consultation events Heathrow have stated that the second consultation is voluntary “but the CAA will be sent the findings”. What does this mean.? Will the CAA take note of them or not? If they will then what do they say to the irregularities of the Consultation? Excellent, well argued response. Thanks to all involved. Recently a local newspaper reported on the potential relocation of a waste incineration plant were the Heathrow Aiport to expand. Financial figures were quoted. Might similar consideration have been given to sewage and waste water treatment and disposal if expansion was to proceed? Would additional sewage treatment be required? Would additional land be required? Would expansion of Mogden Sewage Treatment Works be required? Apparently the latter already serves the airport. Has an impact assessment yet been conducted?